Is innovation important? Ask Blockbuster if they saw Netflix coming. Here’s a hard truth: The market will always be searching for something new—and you, not your competitor, must be the one to give it to them. 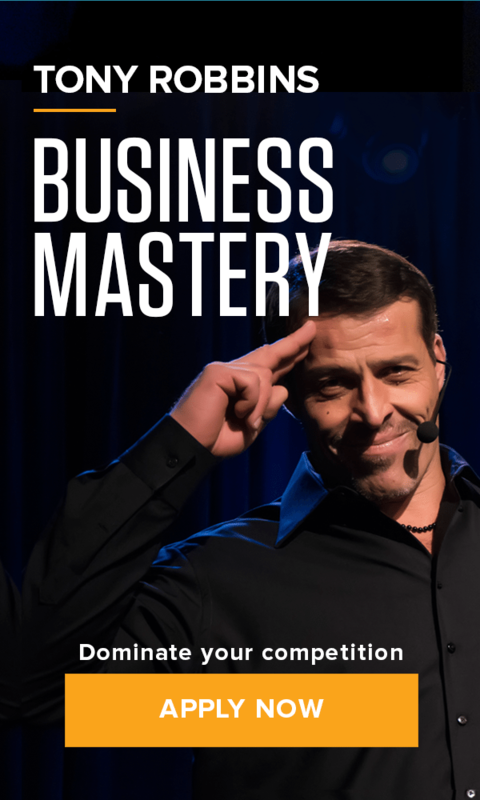 Force #2 of the 7 Forces of Business Mastery is Constant and Strategic Innovation. Strategic innovation is the ability to reinvent the basis of competition within existing industries and to invent entirely new industries. There are three keys to strategic innovation – mastering all three will guarantee you are always staying ahead of the curve, and your competition. Be just ahead of the trend, but not the pioneer. Pioneers get arrows. Settlers get the land. A pioneer may have the glory of being the trailblazer, but they have to focus on the land in front of them, removing the bush and clearing the trial. A settler, however, has the benefit of the lessons learned from pioneers – they can secure and defend their base camp from those lessons. Don’t be deterred if another company has already done something, focus on making it better. While Uber may have been the pioneer of accelerating autonomous driving, Lyft has proven to be a fierce competitor. Learning from Uber, Lyft offered the ability to tip your driver or participate in a car pool, a feature that Uber then implemented into their own service. As Uber continues to deal with controversy, Lyft has maintained a steady rate of growth and an increasing level of customer satisfaction. By learning from the pioneer, Uber, Lyft has been able to side-step several mistakes and invest their focus on continuing to improve their service. Ensure that there are infinite upsides. If you are strategically innovating, you are creating a new product, service or approach. Don’t create something that people can only do so much with. When you notice a trend that is just beginning, figure out if it has real legs. Is there a way to be a leader in this trend but guarantee it isn’t a short-lived trend? Airbnb has changed the way people find places to stay away from home, giving travelers the ability to stay in local neighborhoods rather than hotel tourist traps. By giving users the ability to compare options directly on one platform, Airbnb is able to compete with companies like Priceline and Travelocity to ensure customers don’t search elsewhere. With the ultimate goal of reimagining travel, Airbnb has continued to expand into other travel industries. Some of the company’s recent launches include local guided adventures, multiway itineraries and other ways to get travelers off tour buses and into the real world. Airbnb is constantly determining how their services can continue impacting their clients with infinite upsides and plenty of long-term trends. Strategic Innovation: 5 Steps to Revitalize a Company. What started as an e-commerce platform for selling books has turned into a multi-billion dollar company that offers everything from clothes to janitorial supplies. Amazon is a prime example of a company with innovation as their foundation – consistently discover ways to offer new, exclusive services to their customers through Bezo’s philosophy of long-term loyalty over short-term profits. Amazon’s expansion seemingly has no end in sight, with the launch of their own TV shows, drone delivery service, Alexa AI assistant service and now brick-and-mortar bookstores. Amazon is consistently unveiling new products and services as a result of living by the 5 questions of innovation. They knew they can’t keep doing the same thing, but rather they always have to be looking at the next thing. Mastering these 3 keys of innovation will transform your business at a foundational level. Once innovation is at the core of everything you do, you will become, and remain, the leader in your industry.